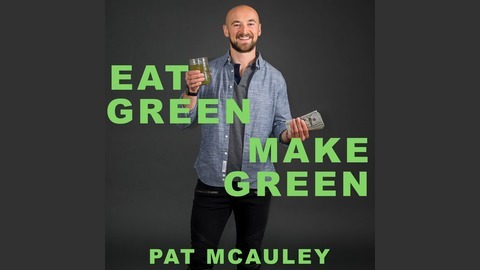 On the Eat Green Make Green Podcast, Serial Entrepreneur, Speaker, and Author Pat McAuley explores the life-changing stories of those who have adopted a plant-based or vegan lifestyle. From his own Mom, to his clients, to executives, to entrepreneurs, and everywhere in between, Pat celebrates those who have changed their lives with plants. 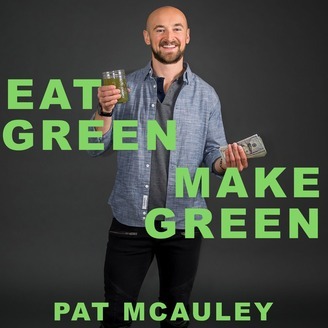 The Eat Green Make Green Podcast is all about inspiration, positivity, & compassion. “I want to be known as a man who made a difference in other people’s lives… to impact people in such a positive way that they look back and say… this guy was one of the people that changed my life.” On this week's episode of the Eat Green Make Green Podcast, I sit down with the incredible Neil Wood. Neil is a South Shore based inspirational guru, speaker, and best selling author (among many other impressive things!). We talk about Neil's turbulent upbringing being in and out of foster care, to running away from home and living in the woods at 16, to being adopted by an amazing family, how he grew up and found running while serving in the Air Force, how he went from never running before to qualifying for the US Olympic Trials with a 2:17 marathon in just 6 years (not a typo! ), the power of visualization, why there is no failure but only lessons, the importance of goal setting and defining exactly what you want, and how his newest mission is to give kids confidence and belief in themselves. I met Neil only a couple of weeks ago and his positivity and outlook on life have already impacted me. He has an amazing energy that leaves you feeling limitless. This is a beautiful episode.